It’s time to up your entrepreneurial game and brand style. Let me guess, you’re doing well in your business, sales are coming in and things are strong but there’s a certain spark missing. One that brings it all together in look, feel and brand. You scroll through the internet and admire people like Marie Forleo, Danielle Laporte or Kris Carr. You see that they have all the elements what you hope to bring to your business. I’ve totally got you (and can definitely help). 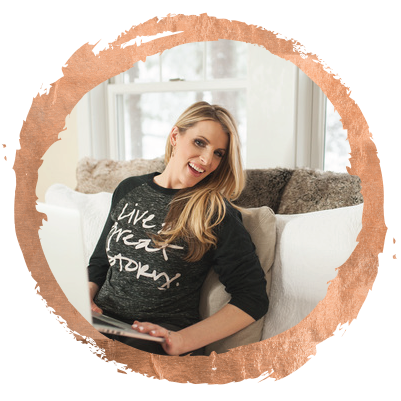 Hi, I’m Carrie Montgomery and I’m here to help you make your brand badass + beautiful from the inside out. Understand who your ICA is and can connect with them seamlessly (without a doubt). First things first, when you’re building a personal brand and up-leveling your already successful business, the best way to begin is to start with, you guessed it, YOU. Building a look, a feel, a set, a wardrobe, a style based on you and who you are inside is key to never having to work hard in front of a camera. Heck, you’ll never have to work hard at a party - you’ll be so confident that your conversations will be effortless and your style jaw-dropping. You’ll feel so comfortable in who you are and what you’re about that the essence of you will seep into every aspect of your brand. Colors, style, flow, clothing that fits with your mission and values, textures on your site - all of it aligned and cohesive so that when people land on your site (in the vast sea that is the internet!) they stay. They stay because they feel who you are through the images and the 2-d version of you becomes 3-d in their mind. A badass and beautiful style and brand that up-levels your business and stakes a claim in the world. In online business you have to step out from behind the screen and WOW your potential customers. You have to be seen and being seen will allow more and more people to work with you in your courses and offerings. Let’s start at the beginning - if you’re anything like me, you set out on a mission to make change in the world. You had a vision to help others live a life of freedom, but the the next level of traction has been hard. You’re making money but now, as you hit, 6-7 figures there’s something that’s missing - something that brings it all together. I’m here to tell you what’s missing - it’s this: your ability to magnify your Brand and Business. One that helps you stand out in your area of expertise. One that makes others say “I want that too”. (And one that creates a soul alignment with who you are in this world). And now it’s time to line up the success you’ve had with a total whole brand experience. is a mentorship in stepping into your true style. You will have the opportunity to connect with your style and brand with a whole new perspective. One that gets you into the level of business brand you’ve been craving. And that’s where the MAGIC HAPPENS. Our calls will focus on your BRAND, your BUSINESS and your TRUE STYLE. Together we curate your look and create the epic edge for you to shine through the crowds. We break through any image and body blocks you may have. We find the fit, cut and look you deeply desire to wear. We create the Unstoppable business machine that you are. Are you ready? Keep reading to find out more. Carrie is bursting with style, enthusiasm, and a work ethic that is unsurpassed. She has been a stylist on many of my videos and photoshoots and has over delivered every time. She and her work are a treasure. Plus she's fun! "Working with Carrie I knew it was going to be so much more than a "styling session" but I had no idea (and was so happy to learn) it was going to be a soul transforming coaching session that would show me the parts of myself desperate to emerge and match the deep writing work that I've been doing. During the session there were too many A-HAs to count! I felt as though Carrie was able to wave a magic wand and reveal to me my true style. Everything she pinned on the pinterest board I wanted to buy that instant. Like any good designer, Carrie can really see who you are at your core and help to bring that out tenfold to the world. In our session, Carrie showed me all the things I've always wanted to be but not yet have been...and now I can start". Carrie's ability to see into the hearts of her clients and translate it into physical design and personal style is pure magic. Having Carrie on set on the day of my photo shoot was a total game changer. Her attention to detail and flair created, not only took my wardrobe to the next level, but presented a beautiful set for my photos that beautifully reflected my brand. Carrie is an artist with the ability to bring my vision to life, while simultaneously making me feel empowered in the process. I cannot recommend this experience enough. It has truly given me so much more than I ever imagined. I never realized how much confidence having a knownigness around my style would give me. I actually FEEL beautiful in my clothes now. I actually CARE about what I'm wearing because I know it has a dramatic effect for how I show up in the world... with my fiance... with my kids.. with my friends.. This is all so much more than just style support for photos - or whatever... its truly life changing in so many ways! Immensely grateful for this experience!! 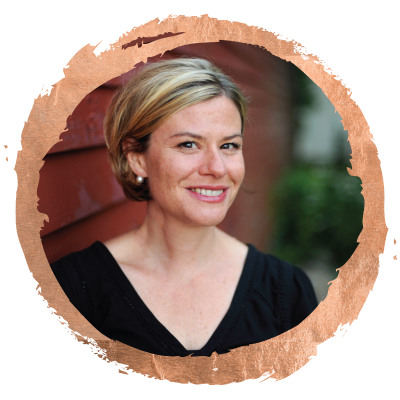 Carrie is an Image and Brand Consultant for thriving female entrepreneurs. Her work has been featured on OWN, The Oprah Winfrey Network, Super Soul Sunday with Christiane Northrup, Coastal Living, Old Port Magazine, and Hay House. She uses her expertise in film, design, and wellness, as well as her love of fashion to create a holistic experience for personal style. She curates her clients’ image to elevate the visibility of their brands. She loves to help women look good and feel good from the inside out. 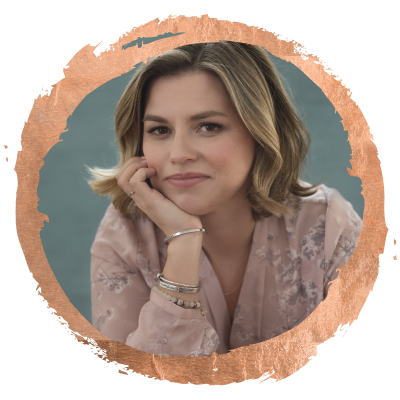 Carrie teaches women to own their true beauty, and she supports them in building their confidence by creating a dream image for their business and life.